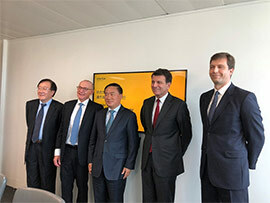 A delegation from Shanghai Pudong New Area Visits Intertek Group in London, United Kingdom. 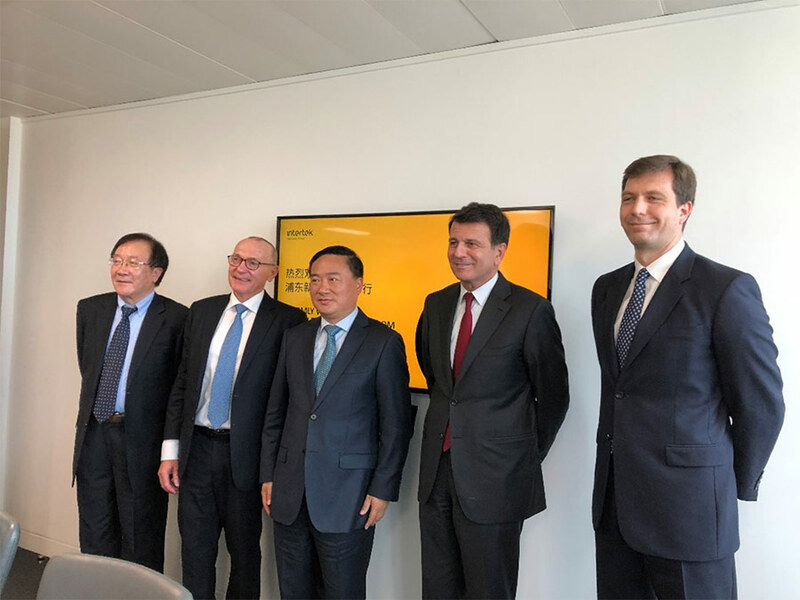 A delegation led by Mr. Weng Zuliang, Member of the Standing Committee of the Shanghai Municipal Committee and Secretary of the Pudong New Area District Committee, visited the headquarters of Intertek Group in London, UK to meet with André Lacroix, CEO of Intertek Group. During the talks, Mr. Weng praised Intertek's achievements across the world and specifically in China, recognising Intertek's global network of international resources, the building of competitive localization services, trade bridges, and support for Chinese products and enterprises exported globally. Intertek was the first overseas third-party Assurance, Testing, Inspection and Certification service provider to enter China in 1989. In 1994, it registered in Pudong to become fully operational in Shanghai. A little over two decades later, Intertek Shanghai has become one of the largest subsidiaries of Intertek in the world and has gained a reputation as the Total Quality Assurance provider of choice, trusted by many companies, governments, and industry organizations in East China and across the country. 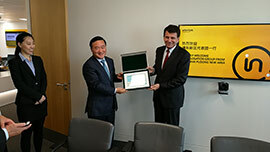 In assisting the country's strategic development and transformation and supporting the improvement of China's manufacturing base, Intertek has successively become a trusted partner for various local government projects such as Zhejiang Manufacturing, Shanghai Brand, Shenzhen Standard, Guangdong Quality, and Taishan Quality. It has played an active role in benchmarking against the highest international standards. Thanks to strong government support in the Pudong New Area and significant levels of Foreign Direct Investment, Intertek has had a number of business lines operating in Pudong and has successfully expanded in the region. During the meeting, Secretary Weng discussed the planning of key regional such as Lujiazui, Zhangjiang, Waigaoqiao, Lingang, and Jinqiao, upon which the Pudong government has focused. 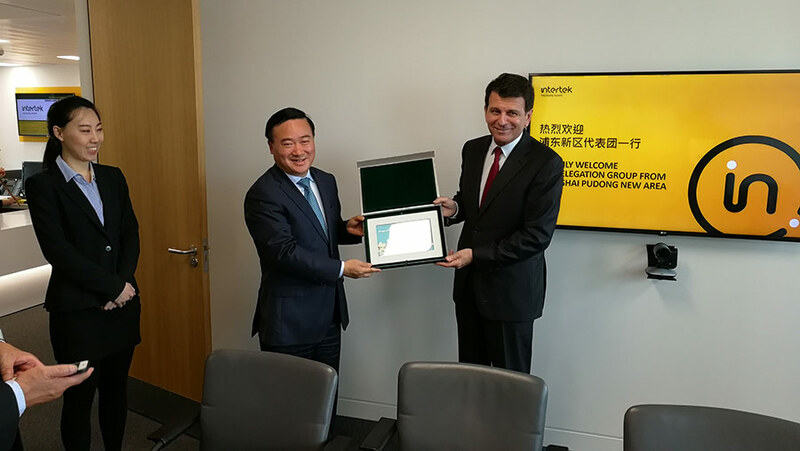 He also hoped that Intertek would continue to perceive the Pudong New Area as an important base area for sustainable development. André Lacroix reiterated that China is a highly important country for Intertek and that Pudong remains a key region for the Group. Going forward, Intertek plans to expand in Pudong, enabling the Pudong New Area to play a central role as a platform for the wider Intertek business across China. China is at a crucial stage in the transformation and upgrading of its manufacturing industry. Intertek continues to support the relevant government departments across the country to carry out useful trials in enhancing regional product influence and establishing a best practice standards system. IIntertek is a leading Total Quality Assurance provider to industries worldwide. Our network of more than 1,000 laboratories and offices and over 43,000 people in more than 100 countries, delivers innovative and bespoke Assurance, Testing, Inspection and Certification solutions for our customers' operations and supply chains. Intertek Total Quality Assurance expertise, delivered consistently with precision, pace and passion, enabling our customers to power ahead safely.